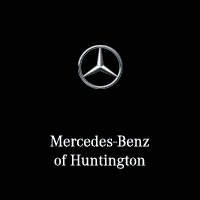 Upgrade your Huntington Station commute with a family-friendly Mercedes-Bens SUV. From the spacious GLS to the high-tech GLA, there are plenty of options for you and your family. After you’ve taken a look at our online inventory, be sure to visit us near Greenlawn for a test drive to ensure this model is the right one for you and your family. Schedule your test drive today and get behind the wheel of a new Mercedes-Benz SUV today. SMARTPHONE INTEGRATION PACKAGE, PANORAMA ROOF. Recent Arrival! 23/31 City/Highway MPG It's always been said that the best things come in small packages, and that is true with the Mercedes-Benz GLA. The GLA may be a smaller sized SUV, but it has the capability, interior room, and athletic genes of a large SUV. Not to mention the large Panorama Sunroof that stretches from the front of the vehicle to the back! The design of the GLA can be best described as athletic, authentic, and adventurous, and this vehicle is always ready for any adventure or trip you'll decide to take it on. The cabin of the GLA makes a big impression, providing a spacious cabin that is flexible and finely tailored to the driver's and passenger's needs. You'll be set for any road ahead of you in the GLA, and you'll have lots of fun driving it with features such as Hands-Free Bluetooth®, Dual USB audio ports, and Smartphone Integration through Apple CarPlay and Android Auto. If you're looking for a functional, fun, and convenient small SUV, then look no further with the Mercedes-Benz GLA!SMARTPHONE INTEGRATION PACKAGE, PANORAMA ROOF. It's always been said that the best things come in small packages, and that is true with the Mercedes-Benz GLA. The GLA may be a smaller sized SUV, but it has the capability, interior room, and athletic genes of a large SUV. Not to mention the large Panorama Sunroof that stretches from the front of the vehicle to the back! The cabin of the GLA makes a big impression, providing a spacious cabin that is flexible and finely tailored to the driver's and passenger's needs. You'll be set for any road ahead of you in the GLA, and you'll have lots of fun driving it with features such as Hands-Free Bluetooth®, Dual USB audio ports, and Smartphone Integration through Apple CarPlay and Android Auto. If you're looking for a functional, fun, and convenient small SUV, then look no further with the Mercedes-Benz GLA! PREMIUM PACKAGE, CONVENIENCE PACKAGE, SMARTPHONE INTEGRATION PACKAGE, PANORAMA ROOF. Recent Arrival! 23/31 City/Highway MPG It's always been said that the best things come in small packages, and that is true with the Mercedes-Benz GLA. The GLA may be a smaller sized SUV, but it has the capability, interior room, and athletic genes of a large SUV. Not to mention the large Panorama Sunroof that stretches from the front of the vehicle to the back! Get going right away in this SUV with the push of the KEYLESS GO® button to start the vehicle. The design of the GLA can be best described as athletic, authentic, and adventurous, and this vehicle is always ready for any adventure or trip you'll decide to take it on. The cabin of the GLA makes a big impression, providing a spacious cabin that is flexible and finely tailored to the driver's and passenger's needs. You'll find the GLA is also full of convenient features, such as Blind Spot Assist, Heated Front Seats, and a Garage Door Opener. You'll be set for any road ahead of you in the GLA, and you'll have lots of fun driving it with features such as Hands-Free Bluetooth®, Dual USB audio ports, and Smartphone Integration through Apple CarPlay and Android Auto. If you're looking for a functional, fun, and convenient small SUV, then look no further with the Mercedes-Benz GLA!PREMIUM PACKAGE, CONVENIENCE PACKAGE, SMARTPHONE INTEGRATION PACKAGE, PANORAMA ROOF. It's always been said that the best things come in small packages, and that is true with the Mercedes-Benz GLA. The GLA may be a smaller sized SUV, but it has the capability, interior room, and athletic genes of a large SUV. Not to mention the large Panorama Sunroof that stretches from the front of the vehicle to the back! Get going right away in this SUV with the push of the KEYLESS GO® button to start the vehicle. The design of the GLA can be best described as athletic, authentic, and adventurous, and this vehicle is always ready for any adventure or trip you'll decide to take it on. PREMIUM PACKAGE, CONVENIENCE PACKAGE, SMARTPHONE INTEGRATION PACKAGE, PANORAMA ROOF. Recent Arrival! 23/31 City/Highway MPG The GLA is a vehicle that has the character of an SUV, the sportiness of a sport sedan, and a compact design fit for every road. Whether you use the GLA for a Manhattan commute, or a weekend trip out east, the GLA is designed to go anywhere you want to go, and have whoever or whatever you may want along with you for the ride. The GLA is adventurous, versatile, and has the exceptional quality you would expect in any Mercedes-Benz vehicle. Functional comes to mind when you think of the Mercedes-Benz GLA. The GLA may be a compact SUV, but it packs some big surprises within it. The cabin of the GLA is generous with legroom, headroom, and of course, luxury. The GLA is a vehicle that makes driving fun. After all, you can't spell functional without "FUN"!PREMIUM PACKAGE, CONVENIENCE PACKAGE, SMARTPHONE INTEGRATION PACKAGE, PANORAMA ROOF. The GLA is a vehicle that has the character of an SUV, the sportiness of a sport sedan, and a compact design fit for every road. Whether you use the GLA for a Manhattan commute, or a weekend trip out east, the GLA is designed to go anywhere you want to go, and have whoever or whatever you may want along with you for the ride. The GLA is adventurous, versatile, and has the exceptional quality you would expect in any Mercedes-Benz vehicle. Functional comes to mind when you think of the Mercedes-Benz GLA. The GLA may be a compact SUV, but it packs some big surprises within it. The cabin of the GLA is generous with legroom, headroom, and of course, luxury. The GLA is a vehicle that makes driving fun. After all, you can't spell functional without "FUN"! PREMIUM PACKAGE, CONVENIENCE PACKAGE, SMARTPHONE INTEGRATION PACKAGE, ILLUMINATED STAR, LED LOGO PROJECTORS, PANORAMA ROOF. Recent Arrival! 23/31 City/Highway MPG It's always been said that the best things come in small packages, and that is true with the Mercedes-Benz GLA. The GLA may be a smaller sized SUV, but it has the capability, interior room, and athletic genes of a large SUV. Not to mention the large Panorama Sunroof that stretches from the front of the vehicle to the back! Get going right away in this SUV with the push of the KEYLESS GO® button to start the vehicle. The design of the GLA can be best described as athletic, authentic, and adventurous, and this vehicle is always ready for any adventure or trip you'll decide to take it on. In the grille you will find the Illuminated Star, shining brightly and proudly. Opening the doors of this vehicle you will be greeted by LED Logo Projectors, that shine the three-pointed star logo onto the pavement below. The cabin of the GLA makes a big impression, providing a spacious cabin that is flexible and finely tailored to the driver's and passenger's needs. You'll find the GLA is also full of convenient features, such as Blind Spot Assist, Heated Front Seats, and a Garage Door Opener. You'll be set for any road ahead of you in the GLA, and you'll have lots of fun driving it with features such as Hands-Free Bluetooth®, Dual USB audio ports, and Smartphone Integration through Apple CarPlay and Android Auto. If you're looking for a functional, fun, and convenient small SUV, then look no further with the Mercedes-Benz GLA!PREMIUM PACKAGE, CONVENIENCE PACKAGE, SMARTPHONE INTEGRATION PACKAGE, ILLUMINATED STAR, LED LOGO PROJECTORS, PANORAMA ROOF. PREMIUM PACKAGE, CONVENIENCE PACKAGE, SMARTPHONE INTEGRATION PACKAGE, SATIN BROWN POPLAR WOOD TRIM, PANORAMA ROOF. Recent Arrival! 23/31 City/Highway MPG It's always been said that the best things come in small packages, and that is true with the Mercedes-Benz GLA. The GLA may be a smaller sized SUV, but it has the capability, interior room, and athletic genes of a large SUV. Not to mention the large Panorama Sunroof that stretches from the front of the vehicle to the back! Get going right away in this SUV with the push of the KEYLESS GO® button to start the vehicle. The design of the GLA can be best described as athletic, authentic, and adventurous, and this vehicle is always ready for any adventure or trip you'll decide to take it on. The LED Headlamps will have you seeing everything on the road at night, and look great too on top of it. The cabin of the GLA makes a big impression, providing a spacious cabin that is flexible and finely tailored to the driver's and passenger's needs. You'll find the GLA is also full of convenient features, such as Blind Spot Assist, Heated Front Seats, and a Garage Door Opener. You'll be set for any road ahead of you in the GLA, and you'll have lots of fun driving it with features such as Hands-Free Bluetooth®, Dual USB audio ports, and Smartphone Integration through Apple CarPlay and Android Auto. If you're looking for a functional, fun, and convenient small SUV, then look no further with the Mercedes-Benz GLA!PREMIUM PACKAGE, CONVENIENCE PACKAGE, SMARTPHONE INTEGRATION PACKAGE, SATIN BROWN POPLAR WOOD TRIM, PANORAMA ROOF. PREMIUM PACKAGE, CONVENIENCE PACKAGE, SMARTPHONE INTEGRATION PACKAGE, SATIN BROWN POPLAR WOOD TRIM, PANORAMA ROOF. Recent Arrival! 23/31 City/Highway MPG It's always been said that the best things come in small packages, and that is true with the Mercedes-Benz GLA. The GLA may be a smaller sized SUV, but it has the capability, interior room, and athletic genes of a large SUV. Not to mention the large Panorama Sunroof that stretches from the front of the vehicle to the back! Get going right away in this SUV with the push of the KEYLESS GO® button to start the vehicle. The design of the GLA can be best described as athletic, authentic, and adventurous, and this vehicle is always ready for any adventure or trip you'll decide to take it on. The cabin of the GLA makes a big impression, providing a spacious cabin that is flexible and finely tailored to the driver's and passenger's needs. You'll find the GLA is also full of convenient features, such as Blind Spot Assist, Heated Front Seats, and a Garage Door Opener. You'll be set for any road ahead of you in the GLA, and you'll have lots of fun driving it with features such as Hands-Free Bluetooth®, Dual USB audio ports, and Smartphone Integration through Apple CarPlay and Android Auto. If you're looking for a functional, fun, and convenient small SUV, then look no further with the Mercedes-Benz GLA!PREMIUM PACKAGE, CONVENIENCE PACKAGE, SMARTPHONE INTEGRATION PACKAGE, SATIN BROWN POPLAR WOOD TRIM, PANORAMA ROOF. PREMIUM PACKAGE, CONVENIENCE PACKAGE, SMARTPHONE INTEGRATION PACKAGE, ILLUMINATED STAR, PANORAMA ROOF, HARMON/KARDON LOGIC 7 SURROUND SOUND SYSTEM. Recent Arrival! 23/31 City/Highway MPG The GLA is a vehicle that has the character of an SUV, the sportiness of a sport sedan, and a compact design fit for every road. Whether you use the GLA for a Manhattan commute, or a weekend trip out east, the GLA is designed to go anywhere you want to go, and have whoever or whatever you may want along with you for the ride. The GLA is adventurous, versatile, and has the exceptional quality you would expect in any Mercedes-Benz vehicle. Functional comes to mind when you think of the Mercedes-Benz GLA. The GLA may be a compact SUV, but it packs some big surprises within it. The cabin of the GLA is generous with legroom, headroom, and of course, luxury. The GLA is a vehicle that makes driving fun. After all, you can't spell functional without "FUN"!PREMIUM PACKAGE, CONVENIENCE PACKAGE, SMARTPHONE INTEGRATION PACKAGE, ILLUMINATED STAR, PANORAMA ROOF, HARMON/KARDON LOGIC 7 SURROUND SOUND SYSTEM. PREMIUM PACKAGE, CONVENIENCE PACKAGE, SMARTPHONE INTEGRATION PACKAGE, ILLUMINATED STAR, PANORAMA ROOF, LED HEADLAMPS, HARMAN/KARDON LOGIC 7 SURROUND SOUND SYSTEM. Recent Arrival! 23/31 City/Highway MPG It's always been said that the best things come in small packages, and that is true with the Mercedes-Benz GLA. The GLA may be a smaller sized SUV, but it has the capability, interior room, and athletic genes of a large SUV. Not to mention the large Panorama Sunroof that stretches from the front of the vehicle to the back! Get going right away in this SUV with the push of the KEYLESS GO® button to start the vehicle. The design of the GLA can be best described as athletic, authentic, and adventurous, and this vehicle is always ready for any adventure or trip you'll decide to take it on. The LED Headlamps will have you seeing everything on the road at night, and look great too on top of it. The cabin of the GLA makes a big impression, providing a spacious cabin that is flexible and finely tailored to the driver's and passenger's needs. You'll find the GLA is also full of convenient features, such as Blind Spot Assist, Heated Front Seats, and a Garage Door Opener. You'll be set for any road ahead of you in the GLA, and you'll have lots of fun driving it with features such as Hands-Free Bluetooth®, Dual USB audio ports, and Smartphone Integration through Apple CarPlay and Android Auto. If you're looking for a functional, fun, and convenient small SUV, then look no further with the Mercedes-Benz GLA!PREMIUM PACKAGE, CONVENIENCE PACKAGE, SMARTPHONE INTEGRATION PACKAGE, ILLUMINATED STAR, PANORAMA ROOF, LED HEADLAMPS, HARMAN/KARDON LOGIC 7 SURROUND SOUND SYSTEM. PREMIUM PACKAGE, SMARTPHONE INTEGRATION PACKAGE, BLIND SPOT ASSIST. Recent Arrival! 22/27 City/Highway MPG The GLC brings you the best of both worlds...the athletic physique and drive of a sport sedan, with the extra utility and space of an SUV. This SUV starts at the push of a button thanks to the KEYLESS GO® feature. With the GLC, you'll get all of the attention on the road with the features of big wheels, as well as crisp proportions and chrome details that make the GLC that much more eye-catching. Besides the GLC's handsome looks and the sporty drive it has, safety is also a priority like all Mercedes-Benz models. The interior of the GLC is intuitive and adaptive to all of your senses, bringing you a luxurious and pleasurable ride wherever you may be going. The Heated Front Seats will keep you warm and cozy no matter what the weather is outside. From the crisp displays available on the dashboard, there's plenty of comfort and entertainment to make every drive a fun one. Stay fully connected when you're in your vehicle with Smartphone Integration through Apple CarPlay and Android Auto. Also, with intuitive controls, hands-free Bluetooth® and easy-to-personalize settings will make technology feel like second nature to you. With all of the convenience that comes with the GLC, every journey will be a smooth sail for you in this SUV.PREMIUM PACKAGE, SMARTPHONE INTEGRATION PACKAGE, BLIND SPOT ASSIST. PREMIUM PACKAGE, GARMIN MAP PILOT®, BLIND SPOT ASSIST, 19" 5-SPOKE WHEELS. Recent Arrival! 22/27 City/Highway MPG The GLC brings you the best of both worlds...the athletic physique and drive of a sport sedan, with the extra utility and space of an SUV. This SUV starts at the push of a button thanks to the KEYLESS-GO feature. With the GLC, you'll get all of the attention on the road with the features of big 19" 5-Spoke Wheels, as well as crisp proportions and chrome details that make the GLC that much more eye-catching. Besides the GLC's handsome looks and the sporty drive it has, safety is also a priority like all Mercedes-Benz models. The interior of the GLC is intuitive and adaptive to all of your senses, bringing you a luxurious and pleasurable ride wherever you may be going. The Heated Front Seats and Heated Steering Wheel will keep you warm and cozy no matter what the weather is outside. From the crisp displays available on the dashboard, there's plenty of comfort and entertainment to make every drive a fun one. The Garmin Map Pilot will keep you on track on any journey, and getting lost will be a thing of the past. Also, with intuitive controls, hands-free Bluetooth® and easy-to-personalize settings will make technology feel like second nature to you. With all of the convenience that comes with the GLC, every journey will be a smooth sail for you in this SUV.PREMIUM PACKAGE, GARMIN MAP PILOT®, BLIND SPOT ASSIST, 19" 5-SPOKE WHEELS. The GLC brings you the best of both worlds...the athletic physique and drive of a sport sedan, with the extra utility and space of an SUV. This SUV starts at the push of a button thanks to the KEYLESS-GO feature. With the GLC, you'll get all of the attention on the road with the features of big 19" 5-Spoke Wheels, as well as crisp proportions and chrome details that make the GLC that much more eye-catching. Besides the GLC's handsome looks and the sporty drive it has, safety is also a priority like all Mercedes-Benz models. The interior of the GLC is intuitive and adaptive to all of your senses, bringing you a luxurious and pleasurable ride wherever you may be going. The Heated Front Seats and Heated Steering Wheel will keep you warm and cozy no matter what the weather is outside. From the crisp displays available on the dashboard, there's plenty of comfort and entertainment to make every drive a fun one. The Garmin Map Pilot will keep you on track on any journey, and getting lost will be a thing of the past. PREMIUM PACKAGE, SMARTPHONE INTEGRATION PACKAGE, BLIND SPOT ASSIST, PANORAMA ROOF, HEATED REAR SEATS. Recent Arrival! 22/27 City/Highway MPG The GLC brings you the best of both worlds...the athletic physique and drive of a sport sedan, with the extra utility and space of an SUV. This SUV starts at the push of a button thanks to the KEYLESS GO® feature. With the GLC, you'll get all of the attention on the road with the features of big wheels, as well as crisp proportions and chrome details that make the GLC that much more eye-catching. Besides the GLC's handsome looks and the sporty drive it has, safety is also a priority like all Mercedes-Benz models. The interior of the GLC is intuitive and adaptive to all of your senses, bringing you a luxurious and pleasurable ride wherever you may be going. The Heated Front and Rear Seats will keep you warm and cozy no matter what the weather is outside. The Panorama Roof provides an open-air feel to the inside of the car, with a large sunroof that stretches from front to back. From the crisp displays available on the dashboard, there's plenty of comfort and entertainment to make every drive a fun one. Stay fully connected when you're in your vehicle with Smartphone Integration through Apple CarPlay and Android Auto. Also, with intuitive controls, hands-free Bluetooth® and easy-to-personalize settings will make technology feel like second nature to you. With all of the convenience that comes with the GLC, every journey will be a smooth sail for you in this SUV. PREMIUM PACKAGE, SMARTPHONE INTEGRATION PACKAGE, BLIND SPOT ASSIST, PANORAMA ROOF, HEATED REAR SEATS. The interior of the GLC is intuitive and adaptive to all of your senses, bringing you a luxurious and pleasurable ride wherever you may be going. The Heated Front and Rear Seats will keep you warm and cozy no matter what the weather is outside. The Panorama Roof provides an open-air feel to the inside of the car, with a large sunroof that stretches from front to back. PREMIUM PACKAGE, SMARTPHONE INTEGRATION PACKAGE, BLIND SPOT ASSIST, PANORAMA ROOF, HEATED STEERING WHEEL, HEAD-UP DISPLAY. Recent Arrival! 22/27 City/Highway MPG The GLC brings you the best of both worlds...the athletic physique and drive of a sport sedan, with the extra utility and space of an SUV. This SUV starts at the push of a button thanks to the KEYLESS GO® feature. With the GLC, you'll get all of the attention on the road with the features of big wheels, as well as crisp proportions and chrome details that make the GLC that much more eye-catching. Besides the GLC's handsome looks and the sporty drive it has, safety is also a priority like all Mercedes-Benz models. The interior of the GLC is intuitive and adaptive to all of your senses, bringing you a luxurious and pleasurable ride wherever you may be going. The Heated Front Seats and Heated Steering Wheel will keep you warm and cozy no matter what the weather is outside. The Panorama Roof provides an open-air feel to the inside of the car, with a large sunroof that stretches from front to back. From the crisp displays available on the dashboard, there's plenty of comfort and entertainment to make every drive a fun one. Stay fully connected when you're in your vehicle with Smartphone Integration through Apple CarPlay and Android Auto. Have all the information you need right at eye-level with the Head-Up Display. Also, with intuitive controls, hands-free Bluetooth® and easy-to-personalize settings will make technology feel like second nature to you. With all of the convenience that comes with the GLC, every journey will be a smooth sail for you in this SUV.PREMIUM PACKAGE, SMARTPHONE INTEGRATION PACKAGE, BLIND SPOT ASSIST, PANORAMA ROOF, HEATED STEERING WHEEL, HEAD-UP DISPLAY. From the crisp displays available on the dashboard, there's plenty of comfort and entertainment to make every drive a fun one. Stay fully connected when you're in your vehicle with Smartphone Integration through Apple CarPlay and Android Auto. Have all the information you need right at eye-level with the Head-Up Display. PREMIUM PACKAGE, SMARTPHONE INTEGRATION PACKAGE, BLIND SPOT ASSIST, PANORAMA ROOF, HEATED STEERING WHEEL. Recent Arrival! 22/27 City/Highway MPG The GLC brings you the best of both worlds...the athletic physique and drive of a sport sedan, with the extra utility and space of an SUV. This SUV starts at the push of a button thanks to the KEYLESS GO® feature. With the GLC, you'll get all of the attention on the road with the features of big wheels, as well as crisp proportions and chrome details that make the GLC that much more eye-catching. Besides the GLC's handsome looks and the sporty drive it has, safety is also a priority like all Mercedes-Benz models. The interior of the GLC is intuitive and adaptive to all of your senses, bringing you a luxurious and pleasurable ride wherever you may be going. The Heated Front Seats and Heated Steering Wheel will keep you warm and cozy no matter what the weather is outside. The Panorama Roof provides an open-air feel to the inside of the car, with a large sunroof that stretches from front to back. From the crisp displays available on the dashboard, there's plenty of comfort and entertainment to make every drive a fun one. Stay fully connected when you're in your vehicle with Smartphone Integration through Apple CarPlay and Android Auto. Also, with intuitive controls, hands-free Bluetooth® and easy-to-personalize settings will make technology feel like second nature to you. With all of the convenience that comes with the GLC, every journey will be a smooth sail for you in this SUV.PREMIUM PACKAGE, SMARTPHONE INTEGRATION PACKAGE, BLIND SPOT ASSIST, PANORAMA ROOF, HEATED STEERING WHEEL. PREMIUM PACKAGE, SMARTPHONE INTEGRATION PACKAGE, BLIND SPOT ASSIST, PANORAMA ROOF, HEATED STEERING WHEEL, LED HEADLAMPS & TAILLAMPS. Recent Arrival! 22/27 City/Highway MPG The GLC brings you the best of both worlds...the athletic physique and drive of a sport sedan, with the extra utility and space of an SUV. This SUV starts at the push of a button thanks to the KEYLESS GO® feature. With the GLC, you'll get all of the attention on the road with the features of big wheels, LED Headlamps and Taillamps, as well as crisp proportions and chrome details that make the GLC that much more eye-catching. Besides the GLC's handsome looks and the sporty drive it has, safety is also a priority like all Mercedes-Benz models. The interior of the GLC is intuitive and adaptive to all of your senses, bringing you a luxurious and pleasurable ride wherever you may be going. The Heated Front Seats and Heated Steering Wheel will keep you warm and cozy no matter what the weather is outside. The Panorama Roof provides an open-air feel to the inside of the car, with a large sunroof that stretches from front to back. From the crisp displays available on the dashboard, there's plenty of comfort and entertainment to make every drive a fun one. Stay fully connected when you're in your vehicle with Smartphone Integration through Apple CarPlay and Android Auto. Also, with intuitive controls, hands-free Bluetooth® and easy-to-personalize settings will make technology feel like second nature to you. With all of the convenience that comes with the GLC, every journey will be a smooth sail for you in this SUV.PREMIUM PACKAGE, SMARTPHONE INTEGRATION PACKAGE, BLIND SPOT ASSIST, PANORAMA ROOF, HEATED STEERING WHEEL, LED HEADLAMPS & TAILLAMPS. The GLC brings you the best of both worlds...the athletic physique and drive of a sport sedan, with the extra utility and space of an SUV. This SUV starts at the push of a button thanks to the KEYLESS GO® feature. With the GLC, you'll get all of the attention on the road with the features of big wheels, LED Headlamps and Taillamps, as well as crisp proportions and chrome details that make the GLC that much more eye-catching. Besides the GLC's handsome looks and the sporty drive it has, safety is also a priority like all Mercedes-Benz models. PREMIUM PACKAGE, SMARTPHONE INTEGRATION PACKAGE, LED LOGO PROJECTORS, BLIND SPOT ASSIST, PANORAMA ROOF, HEATED STEERING WHEEL, 19" 5-SPOKE WHEELS, LED HEADLAMPS & TAILLAMPS. Recent Arrival! 22/27 City/Highway MPG The GLC brings you the best of both worlds...the athletic physique and drive of a sport sedan, with the extra utility and space of an SUV. This SUV starts at the push of a button thanks to the KEYLESS GO® feature. With the GLC, you'll get all of the attention on the road with the features of big wheels, LED Headlamps and Taillamps, as well as crisp proportions and chrome details that make the GLC that much more eye-catching. Besides the GLC's handsome looks and the sporty drive it has, safety is also a priority like all Mercedes-Benz models. The interior of the GLC is intuitive and adaptive to all of your senses, bringing you a luxurious and pleasurable ride wherever you may be going. The Heated Front Seats and Heated Steering Wheel will keep you warm and cozy no matter what the weather is outside. The Panorama Roof provides an open-air feel to the inside of the car, with a large sunroof that stretches from front to back. From the crisp displays available on the dashboard, there's plenty of comfort and entertainment to make every drive a fun one. Stay fully connected when you're in your vehicle with Smartphone Integration through Apple CarPlay and Android Auto. Also, with intuitive controls, hands-free Bluetooth® and easy-to-personalize settings will make technology feel like second nature to you. With all of the convenience that comes with the GLC, every journey will be a smooth sail for you in this SUV.PREMIUM PACKAGE, SMARTPHONE INTEGRATION PACKAGE, LED LOGO PROJECTORS, BLIND SPOT ASSIST, PANORAMA ROOF, HEATED STEERING WHEEL, 19" 5-SPOKE WHEELS, LED HEADLAMPS & TAILLAMPS. PREMIUM PACKAGE, SMARTPHONE INTEGRATION PACKAGE, LED LOGO PROJECTORS, BLIND SPOT ASSIST, PANORAMA ROOF, HEATED STEERING WHEEL, LED HEADLAMPS & TAILLAMPS, BURMESTER SURROUND SOUND SYSTEM. Recent Arrival! 22/27 City/Highway MPG The GLC brings you the best of both worlds...the athletic physique and drive of a sport sedan, with the extra utility and space of an SUV. This SUV starts at the push of a button thanks to the KEYLESS GO® feature. With the GLC, you'll get all of the attention on the road with the features of big wheels, LED Headlamps and Taillamps, as well as crisp proportions and chrome details that make the GLC that much more eye-catching. Besides the GLC's handsome looks and the sporty drive it has, safety is also a priority like all Mercedes-Benz models. The interior of the GLC is intuitive and adaptive to all of your senses, bringing you a luxurious and pleasurable ride wherever you may be going. The Heated Front Seats and Heated Steering Wheel will keep you warm and cozy no matter what the weather is outside. The Panorama Roof provides an open-air feel to the inside of the car, with a large sunroof that stretches from front to back. From the crisp displays available on the dashboard, there's plenty of comfort and entertainment to make every drive a fun one. Stay fully connected when you're in your vehicle with Smartphone Integration through Apple CarPlay and Android Auto. Also, with intuitive controls, hands-free Bluetooth® and easy-to-personalize settings will make technology feel like second nature to you. Listen to your favorite tunes in crisp and clear sound from the Burmester Surround Sound System. With all of the convenience that comes with the GLC, every journey will be a smooth sail for you in this SUV.PREMIUM PACKAGE, SMARTPHONE INTEGRATION PACKAGE, LED LOGO PROJECTORS, BLIND SPOT ASSIST, PANORAMA ROOF, HEATED STEERING WHEEL, LED HEADLAMPS & TAILLAMPS, BURMESTER SURROUND SOUND SYSTEM. Also, with intuitive controls, hands-free Bluetooth® and easy-to-personalize settings will make technology feel like second nature to you. Listen to your favorite tunes in crisp and clear sound from the Burmester Surround Sound System. With all of the convenience that comes with the GLC, every journey will be a smooth sail for you in this SUV. When you’re ready to take your favorite model for a spin, visit Mercedes-Benz of Huntington to get a better look! We look forward to seeing you drive off the lot in the new or used Mercedes-Benz SUV you love within your budget. Contact us today for more information.